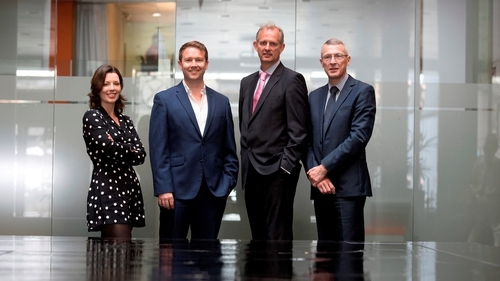 Bank of Ireland's Kernel Capital Early and Growth Stage Funds have invested €1.7m in software firm Sytorus. The Kernel Capital funding is in addition to simultaneous investment from Enterprise Ireland and private investors. Established in 2013, Sytorus's software provides end-to-end data protection solutions to corporate clients for their GDPR requirements. The company, which has a workforce of over 50, is scaling rapidly and has over 300 hundred fee paying corporate clients worldwide. Sytorus has opened offices in Stockholm and London, and this latest investment will facilitate the opening of a new office in Frankfurt. "At Sytorus we believe that data protection practitioners deserve the best tools to do their job. This investment will help us to deliver these tools to data protection leaders across the EU," commented the company's chief executive Dr John Ghent. "GDPR represents the biggest overhaul of the world's privacy rules since the birth of the internet. Kernel Capital are delighted to announce details of this significant investment which will drive the business to new frontiers and accelerate their growth into several new markets," Orla Rimmington, Partner with Kernel Capital, said.